Isaak still says, "Micker Donald". It must have been farm week at school. 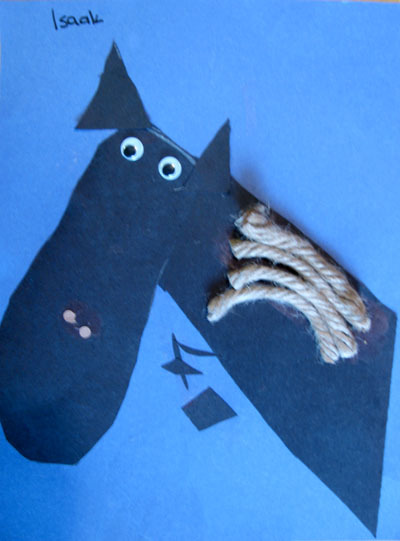 Isaak made a horse at preschool. Mica made a farm picture in first grade. He's kind of in this stage where he thinks he needs to add everything he can think of. I'm stopping by from the Rural Thursday blog link up! 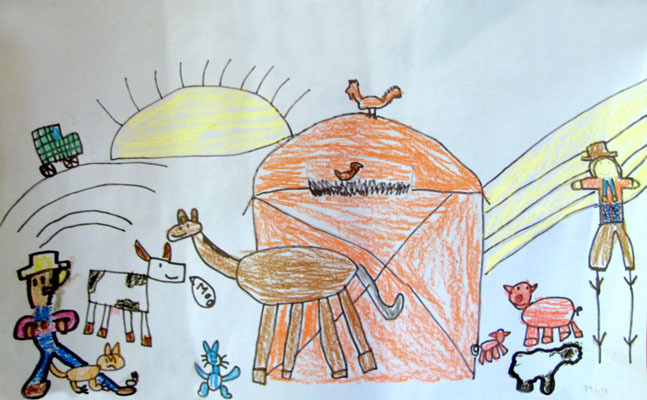 Wow -- your guys are very artistic for their age. Well done! I don't think he forgot a thing in that picture. He did a great job. Issac did a great job on the horse too!! I forgot to say that. Mica even has the cow saying Moo! !